I advise my clients to be proactive in adopting new Microsoft technologies that help them to reach business needs and to accomplish their goals. Nuno Arias Silva has more than 20 years working on IT, with Master in Information Technologies, last projects have more focus in Office 365, Infrastructures and Security within Microsoft Infrastructure Products. Architect Manager at GFI Portugal – Modern Workplace Lead – Microsoft Solutions Architect – MVP Office Apps and Services, Windows Insider MVP and MCT at GFI (Microsoft Gold Partner) for Microsoft Office 365, Exchange, Private Cloud, Infrastructure, Active Directory, SQL and Auditing Microsoft Products, support at pre-sales and sales areas. Specialist in Office 365, with a focus on Exchange, Virtualization and System Center: With more than 20 years’ experience in Datacenter Architectures, Nuno has 30+ certifications (MCT, MCSE, MCITP, MCSA and MCTS among others). Experience in enterprise environments: He has worked several industries, including Aerospace, Transportation, Energy, Manufacturing, Financial Services, Government, Health Care, Telecoms and IT Services, Gas-Oil Company in different countries and continents. Assisted Microsoft in the development of workshops and special events and case studies, and as a speaker at several Microsoft events. Contributes with several articles and publications in various blogs and communities. 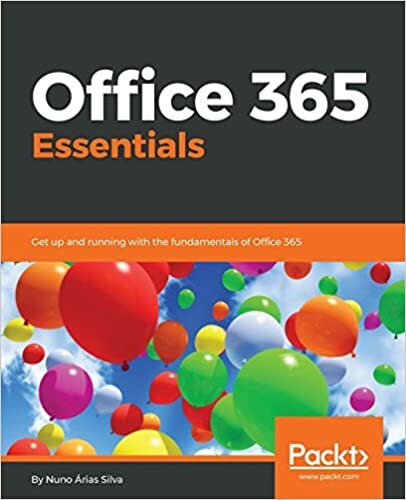 Author of Office 365 Essentials Book.